This job was unique with a really steep slope on the driveway side. The homeowner’s concern with this area stemmed from the fact that they weren’t going to be able to run over it with a mower. So we added 10’ of pipe and backfilled it; now you can drive over it with a mower without any problems. Thinking ahead, we also added a conduit in the same ditch as the main pipe. A conduit is a small pipe that can hold wires or cables and protect them from rock or shifting soil that could damage or break them. 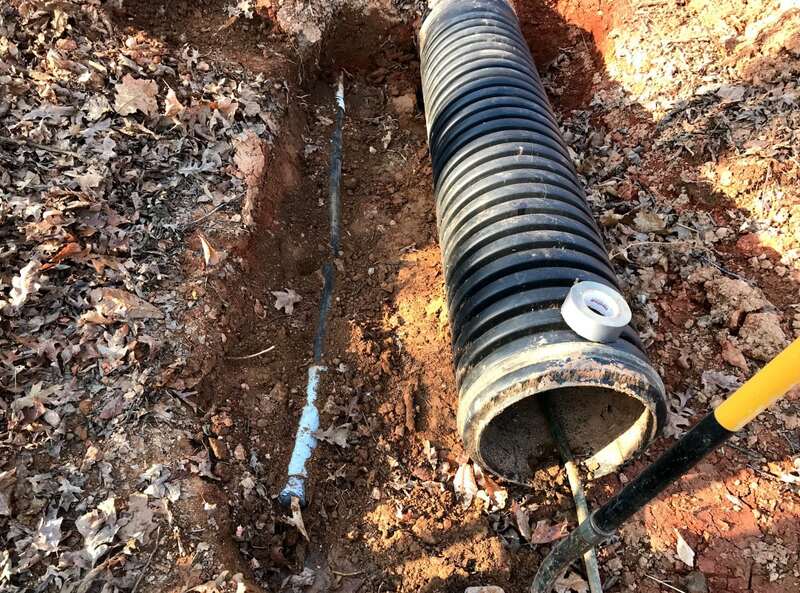 If the homeowner ever has to add something like this under the driveway, the conduit is already in place. Our experience as a Central Virginia earthwork expert proved useful on this project. We were able to quickly and effectively solve the problem, and also provide ideas for the future of this property. We’d love to help you with your earthwork projects. 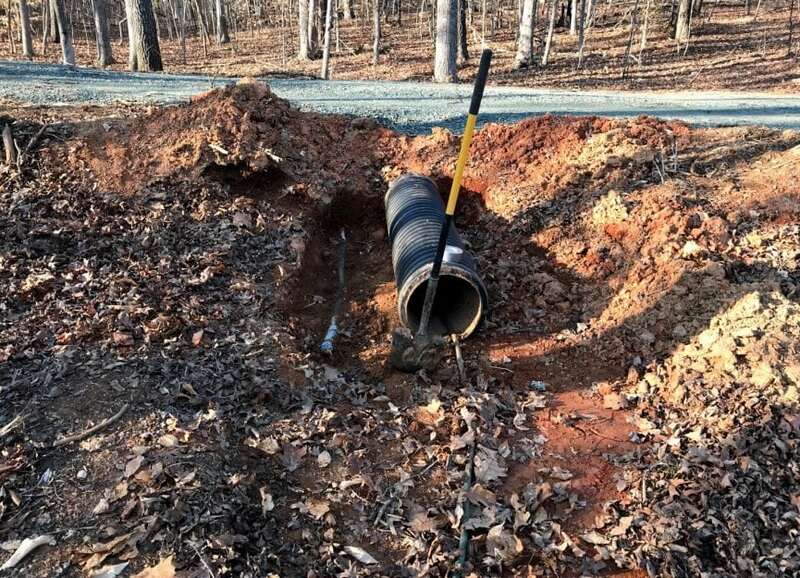 Give us a call at 434-293-6724 for an estimate today!